Afterpay is a payment service which gives you a flexible and simple payment solution when shopping online at Queen Bee. Designed to suit you, Aterpay allows you to purchase what you want now and pay it off over 4 fortnightly instalments. Your order gets shipped straight away just like a standard order and there's no interest or delays. New customers will be charged their first payment instalment at the time of purchase, and Afterpay will automatically deduct your next instalment from your nominated card every fortnight over the remaining 6 weeks. You are no longer considered a 'new' Afterpay customer after you have fully paid your first order and 6 weeks have also elapsed since making that first order. Existing Afterpay customers will have their first instalment deducted 2 weeks after placing an order, with fortnightly payments, and the final 4th instalments 8 weeks after making the order. At any time you can log in to Afterpay and view your payment schedule - you can also choose to make a payment before the due date, otherwise Afterpay will automatically deduct the instalment from your debit/credit card. Afterpay orders will ship as per our standard delivery policy after you complete your online order. Please click here for shipping information. 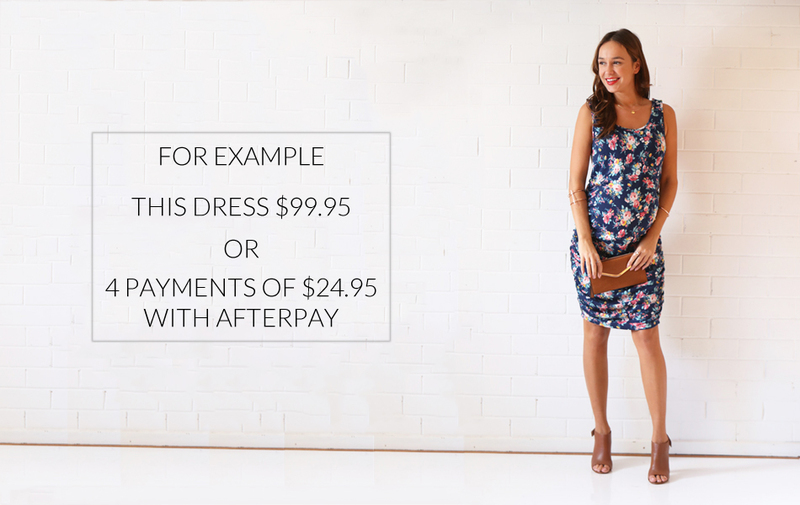 Yes, there is an $800 transactional limit for Afterpay purchases made at Queen Bee. Returns are subject to our standard return policy. Please click here for return information. Once a refund has been processed this will notify Afterpay. Afterpay will cancel any further instalments and refund you any amounts paid back to the card that you used to place the order. When there is a partial return from an order, Afterpay will adjust/cancel any remaining instalments and refund you any amounts paid in excess of the items kept. If a store credit has been issued, then you will need to continue with your Afterpay instalments. Note: Delivery fees are not refundable. All customers are responsible for the postage cost of returning unsuitable items back to us. If you fail to make a payment, Afterpay will charge you a $10 late payment fee and if still overdue 7 days later an additional $7 late payment fee will be incurred. Please see Afterpay terms and conditions here. You will need to contact Afterpay directly in relation to issues with your Afterpay account.